Connect SAS-compatible storage devices to your network with the Mini-SAS HD to Mini-SAS HD Cable from C2G. 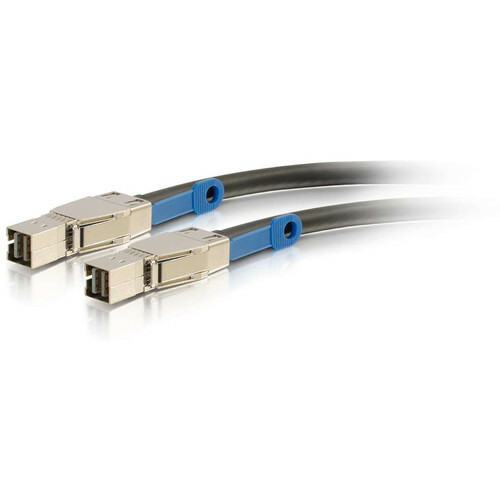 This 6.6' cable comes with SFF-8644 Mini-SAS HD connectors on each end and supports a data transfer rate up to 12 Gb/s, ideal for SAN (storage area network) devices, servers, workstations, hard drives, and other devices equipped with an SAS interface. The cable features silver-plated solid copper conductors, while its jacket is made of flexible PVC.